As a renter (and a potential buyer) in 20005, I think this is a great resource. I think I know the neighborhood pretty well but even I was surprised by the info on the map. 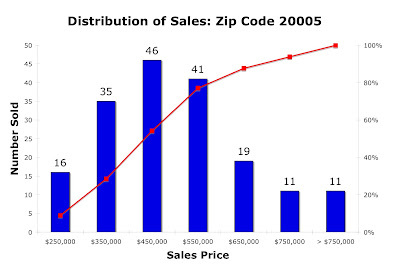 20005 is expensive but there are pockets of affordability in the neighborhood. For example, what's in block 315? 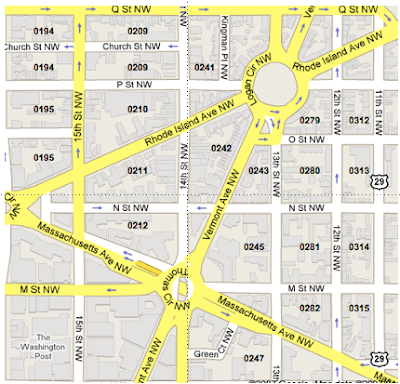 Sales in square 0315 were at two addresses: 1115 12th St NW and 1125 12th St NW. I noticed 1125 12th St NW unit #1 is being auctioned next Tuesday at 10:46AM. See Alex Cooper's web site. It had been purchased for $370,000 in January 2007. It's neighbor, unit #2, appears to have been taken back by the bank, which bought it back for $238,000 in August after it had been first purchased in October 2006 for $370,000. That's a 36% haircut. 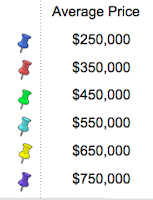 Thanks to Google, I see many of the building's units are being advertised as rentals to convention goers. Squares 0281 and 0282 (adjacent to 0315) contain very large public housing complexes for senior citizens and persons with disabilities. As a renter in 0282, and a student of the acute real estate market here, I believe the presence of these buildings amidst the shiny new condo buildings going up everywhere else has helped keep prices lower here. This is a case where the numbers don't always tell the whole story. We love our neighborhood AND our neighbors, but I'm not naive enough to suggest that these couple of blocks are for everyone. It's a good lesson in making sure you get a feel for an entire neighborhood before you consider making a purchase. This is nice resource, thank you, although the sharp differences between the properties in this area make average sales prices deceptive. I've been house hunting in this area, and it's hard to find comparables since there are brand new fancy buildings next to old run down ones. Maybe this is what you looking for. Click on the left side under heat maps and select unit size to view color coded heat map of rents overlaid on Google earth satellite map. This is a grad student. Said he would help anyone that is interested doing one. Very cool, precisely what I'd like to do. Love this resource! 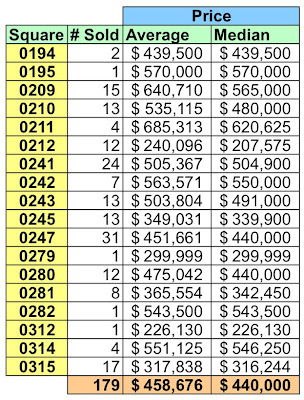 I actually am one of the purchasers in 0315 back in August 07 - bought in 1115 12th and love the condo. Bought it for my son while he is in college, but will then use it as a pied a terre later. It's a nice building.